Eric Terrien made a clean sweep at the “King & Princess of the Olympic Canal” SUP race this weekend. The event was held at the Canal Olimpic de Catalunya, near Barcelona, Spain. 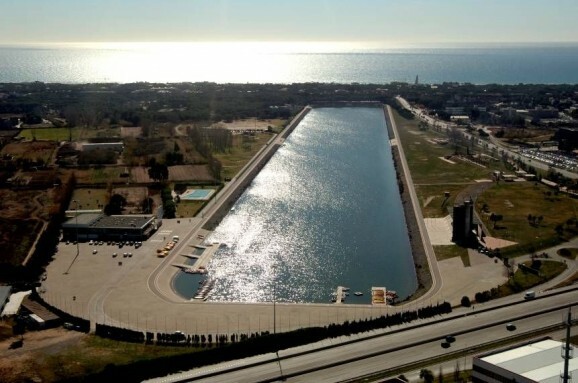 The canal stretches 1.2km and was built to host the sprint canoe events at the 1992 Barcelona Olympics. 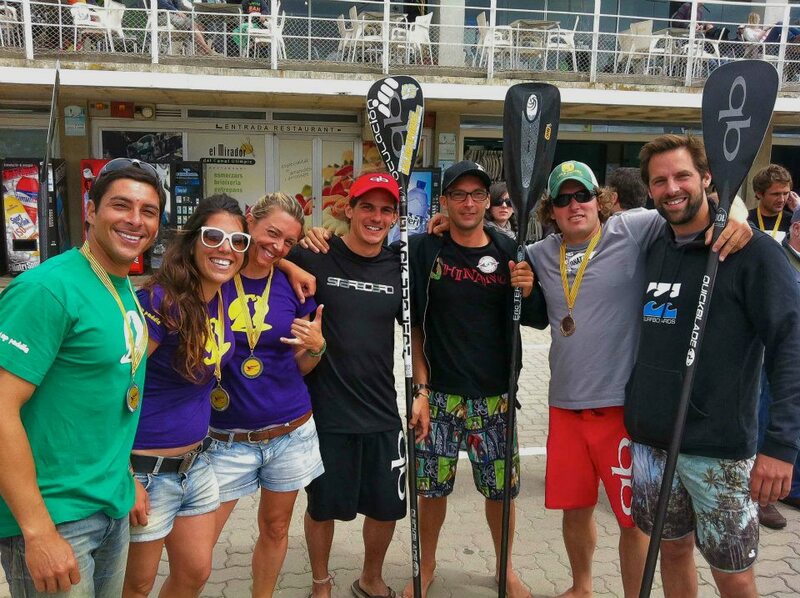 Re-affirming his spot as Europe’s #1 stand up paddle racer, Terrien won both the Sprint (500m) and Long Distance (8.8km) races. The race was hosted by the Catalunya SUP Club, who were given special permission to race and train on the Olympic Canal. 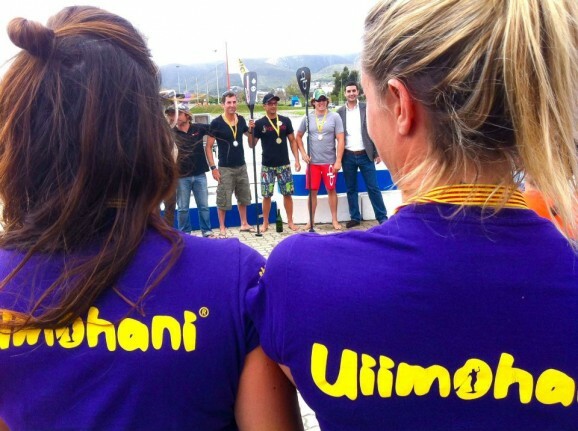 There are plenty more races coming up across Spain and Europe this summer. 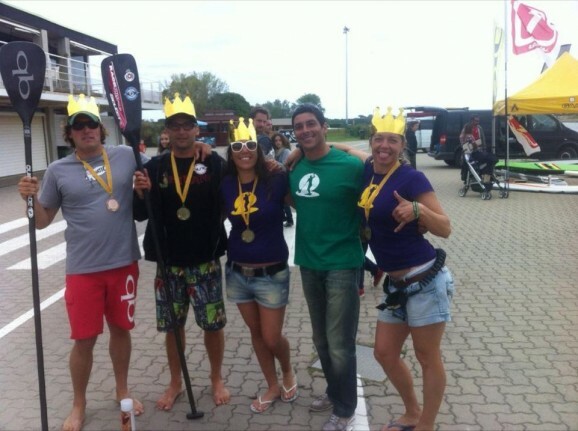 Check out where the action is happening next: Stand Up Paddle Races in Europe. Random Trivia: While this is the first time a Stand Up Paddle race has been held at the Canal Olimpic, the venue actually has a long association with the sport. 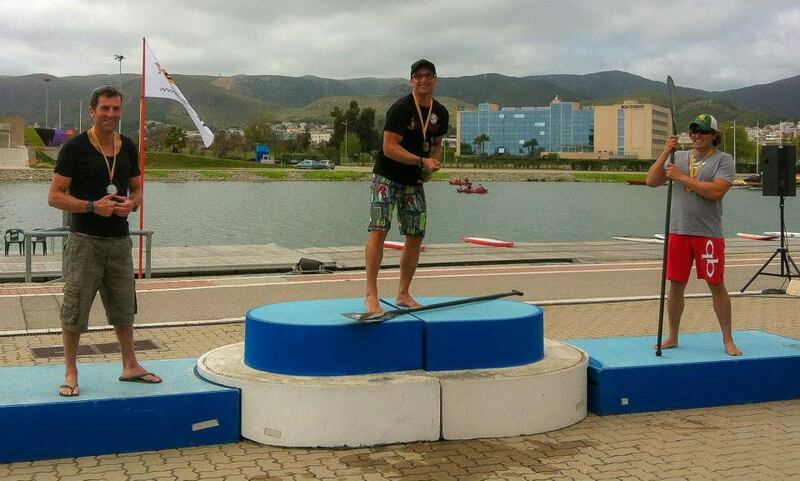 Quickblade Paddles founder and leading SUP racer, Jim Terrell, raced on the Canal Olimpic de Catalunya at the 1992 Olympic games, reaching the semi-finals in the C2-500m. Another well known stand up paddle racer, Larry Cain, was also competing. Thanks to Uiimohani Stand Up Paddle for the photos.